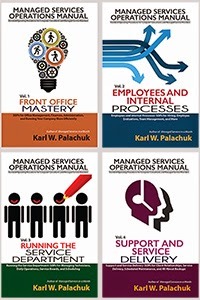 Small Biz Thoughts by Karl W. Palachuk: Attend the ASCII Success Summit . . . On Me! If you are in the area, I just scored one for you! 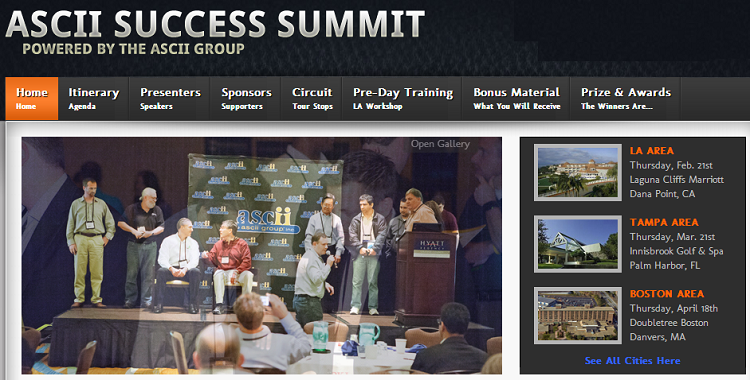 It is my pleasure to offer you a complimentary VIP Guest pass (valued at $1495) to attend the upcoming ASCII SMB IT Success Summit 2013. This networking and business building event offers contentspecifically geared to help IT and Managed Services Providers win sales and ultimately build more recurring revenue. Simply use code KARLS-VIPS when registering at www.asciievents.com for your complimentary Guest VIP Pass. Your VIP Guest pass (valued at $1495) includes all content, educational tracks, meals and BONUS material below at NO COST. The SMB IT Success Summit this year will be held at Laguna Cliffs Resort& Spa Marriott on Thursday, February 21, 2013. Our new training sessions will cover unique ways to maintain high prospect interest without selling technology and how to effectively build up your sales pipeline. Webinar prospecting is the home run for sales ready lead generation in the 21st century. Unfortunately, many MSP's don't understand the very precise steps needed to make this idea a financial home run for their business. During this presentation he will show you in a step-by-step fashion, how to organize and conduct prospecting webinars. The secret is to avoid showcasing technology and to sell the prospects on the fact that a relationship with the MSP/webinar sponsor will produce permanent measurable improvements in one or more of their businesses operating conditions. 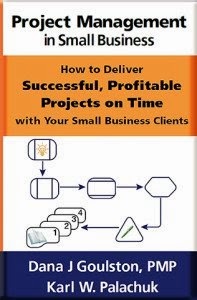 BONUS MATERIAL +: Each VIP GUEST will receive the ASCII’s Managed Services Sales Tax Guide. This guide covers questions related to what is taxable under managed services. From offering remote services to hardware as a service, this guide explains how to apply sales or not apply certain sales tax. For the complete agenda and list of bonus material and benefits you will receive visit the event site at www.asciievents.com. Make sure you register your team today! I'm debating hopping on a plane for this event, but have a couple of questions. Do we need to be ASCII members to attend? Any chance that code will work for the upcoming Chicago event as well? I'll ask Jerry at ASCII, but I'm going to say yes. I got the update: This code is good for all of the ASCII Success Summits. Karl & friends, you are welcome!